Copyright (c) – Pink Floyd Music Publishing Ltd. 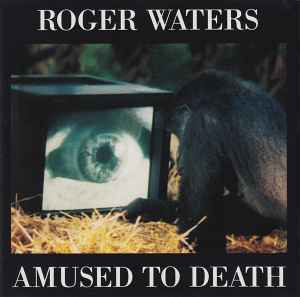 This release is almost identical to Roger Waters - Amused To Death with the difference being the distribution code printed on the bottom right hand corner of the rear inlay which on this release is CB 811 and on that release is CB 681. This release was issued in a standard jewel case with a black tray whereas the 'CB 681' release was issued in a standard jewel case with a clear tray. Another point of difference is that the rights society printed on the disc label of this release is BIEM/STEMRA whereas on the other release is just BIEM. Dedicated to Private William Hubbard (1888-1917), Eighth Battalion of the Royal Fusiliers, City of London Regiment. This recording was mixed in QSound™, a new audio technology producing a wider, more natural sound field. © 1992 Sony Music Entertainment Inc.